Solvent based seaming cement. 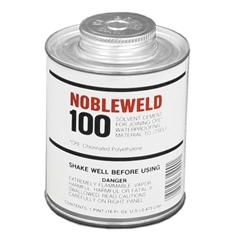 Chemically fuses bare CPE sheets of NobleSeal TS or Chloraloy. 1 pint seams 50 lin. ft.